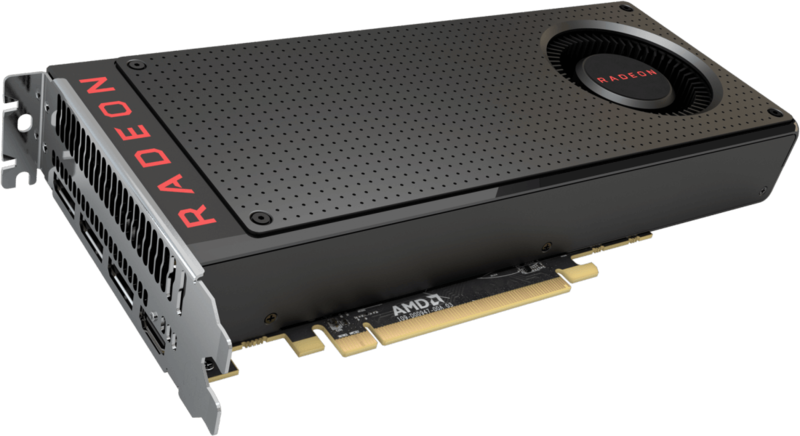 AMD’s new Radeon RX 480 is offered in two flavors, one with 4GB of memory and the other with 8GB. Assuming you could find either card in stock, you’d pay on average around $40 more for the premium model. If you’re one of the lucky ones that got ahold of an early production 4GB model, however, you may be able to double your usable memory by simply flashing the card. As the story goes, AMD sent out 8GB review samples. To simulate reviews of a 4GB card, they also sent over a special BIOS that converts the 8GB card to 4GB by reducing its address-space and memory clocks. This was supposedly only for review cards but that hasn’t panned out. According to TechPowerUp, some people that purchased retail 4GB cards discovered they arrived with 8GB of memory physically installed on the PCB. The site’s own 4GB card it purchased was of this variety and after flashing it to the 8GB card’s BIOS, it was recognized and worked as advertised. They did this by extracting the BIOS of the 8GB card using ATIFlash 2.74 and then transplanting it to the 4GB card. They used the BIOS image found here although as always, note that you’re taking a risk and you’re the only one that will be responsible should things go south. In testing, the site found that the true 8GB card and modified 4GB card performed on par with each other. Apparently the only way to determine if your card physically has 8GB of memory is to remove the factory cooler which will likely void your warranty. Whether or not the risk is worth $40 will be for you to decide. Sum Guy, trgz, davislane1 and 4 others like this. LMAO ... now you've done it. Haha this is nothing new in ATI/AMD land. The only problem is the reference cards aren't great and by the time the OEM cards get released the supply of these cards that this will work on may disappear. I however in the past have been able to do with a MSI 6950 to 6970 by unlocking more cores. And other radeons going further back. Really? So they put out the same hardware, and spend more time and money to sell you the same thing with software to make it less? How flippin' stupid is that? Manufacturing one product is cheaper than two. The hit they take on the cost of the ram must be negligible for them, it is also possible they binned the cards. I had a Phenom II 550 dual core I flashed to a 4 core thanks to this same general idea; the yields got to be good enough that most chips were fully functional but they needed to keep the SKU for the dual core, so they shipped fully functional CPUs that were software locked. the yields got to be good enough that most chips were fully functional but they needed to keep the SKU for the dual core, so they shipped fully functional CPUs that were software locked. I don't remember this one on the NV side. When is 8Gb needed in a mid range GPU? Is there any real advantage in having 8Gb in thsis card? What's 8GB if it fries your pc twice? You'd be surprised. Most the expensive for new silicon goes into the R&D. Stamping the actual chip costs only about as much as whatever the value of the silicon is - regardless of architecture or clocks. This is why the computer industry is as large as it is: once the R&D costs have been recovered, they only need to make enough to cover materials, shipping, and marketing - all tiny compared to the prices they are able command. you will most likely not need it, but the extra MHz you get from it will be felt. ya I'm familiar with the 9500pro to 9700pro mod and 9800 one also. This kinda of stuff is nothing new on the ATI/AMD side I've been doing it for years. When is 4GB needed in a mid-range card? Surely they only need 3.5GB, right?